Rooms, services Napsugár Apartman Hotel Cserkeszőlő is welcoming all guests in Cserkeszőlő with 50 comfortable rooms to stay in. With child-friendly services being available the hotel is also suitable for children, and would be pleased to host all members of the family for your stay. You may also take your pet along for your stay, the hotel is prepared for to host it. An additional fee applies to reservations with pets. In case you'd like to have a meal or a drink on the spot, you will be provided freshly prepared dishes in the restaurant every day. If neccessary, you may leave your car at the parking place of the hotel without paying any extras. 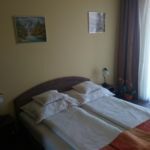 The exact equipment of a room and the exact list of available services of Napsugár Apartman Hotel Cserkeszőlő can be read on the information sheet below and on the information sheet of the selected room. Location The hotel is situated 600 meters away from Cserkeszőlő Spa and Bath. Arrival, opening hours The earliest time of check-in is 14:00, the latest time of check-out is 10:00. The personnel is at your service in Hungarian, English and German languages. 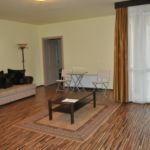 The rating of Napsugár Apartman Hotel Cserkeszőlő is 9.3 from the maximum 10, 230 based on actual and valid guest ratings and reviews. "Tágas, kényelmes szobák, rendkívül finom és bőséges étel választék, a mélygarázsban biztonságban volt az autónk." "Nagyon elégedett voltam a szállással a kiszolgálással." 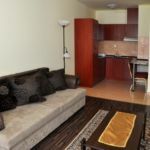 Based on the reviews and comments of actual guests, the services of the Napsugár Apartman Hotel Cserkeszőlő have received a high rating of 9.1/10.